A 17-day workshop that ended on January 6 taught safe driving skills and encouraged university students to promote traffic safety among their peers and in the community. Uong Viet Dung, deputy chief of the National Traffic Safety Committee, said the majority of road users, especially students, lacked motorcycle driving skills, which is a major factor in the high number of crashes in Vietnam. The National Traffic Safety Committee supports the Safety Delivered programme, which targets university students and empowers them to take on the role of road-safety ambassadors. Following a series of focus group discussions with university students from Hanoi and HCM City, AIP Foundation developed a motorcycle safety education toolkit in partnership with the National Traffic Safety Committee and the Ministry of Education and Training. 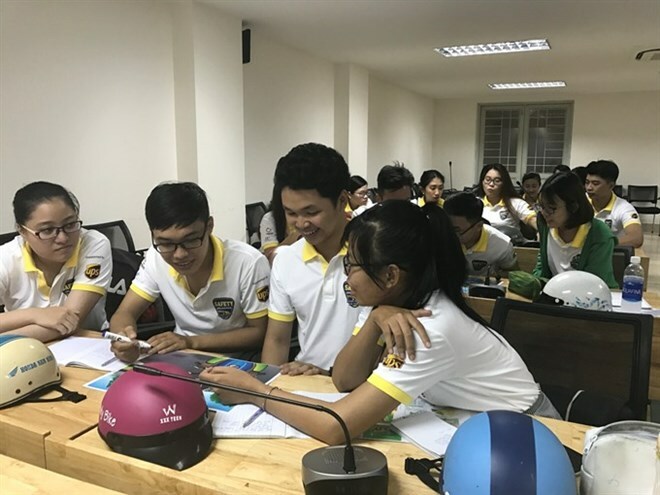 The training topics focus on risky behaviors among youth in Vietnam, including not wearing a helmet, not checking blind spots, speeding, overtaking, and distracted driving. AIP Foundation will encourage the use of diverse media as students design their own road safety initiatives.